How to Make Your Very Own Man Cave | McKee-Horrigan Inc.
Building a Man Cave: Are Your Garage Doors Ready For It? The man cave is something that is relatively new in North American culture, but it is rapidly gaining popularity among men and even some women. The cultural stereotype of home dynamics is that women hold domain over the home and decoration, while men have the responsibility of ‘bringing home the bacon’. Of course, in the last few decades, these cultural roles have become increasingly obsolete. However, interior decoration and furniture purchases are still largely the domain of the wife and girlfriend. There is a growing domestic movement that is a direct response to this, and it is called the “man cave”. The man cave, sometimes called a ‘manspace’ or ‘mantuary’ is a tongue-in-cheek term for a room reserved for the boyfriend, husband, brother, or son of the home. Dens, basements, spare bedrooms, and attics are being claimed and furnished as a man cave every day. A book entitled Manspace: A Primal Guide to Marking Your Territory has been written on the subject, and there’s even a TV show called Man Caves where a home renovation team creates these spaces for men across America. A few people feel left out from this trend, however; they claim that they simply don’t have the space to create a man cave of their own. However, there’s one last space that you ought to consider: your garage. You may be excited at the prospect, but you have to consider a couple of things first. For one, are your residential garage doors ready to protect your new man cave? We give a careful look at what the man of the house needs to know before setting up his sanctuary. 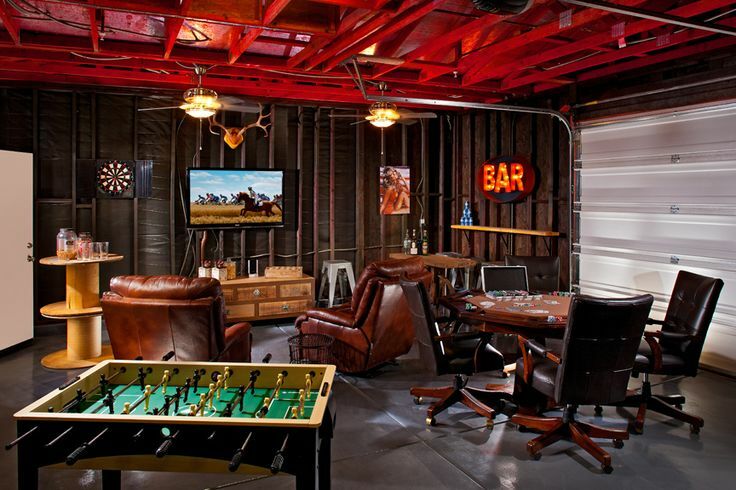 A “Bachelor Pad” For the Modern Man: What Purpose Does the Man Cave Serve? Francis puts up posters of his favourite bands and listens to vinyl records while lounging in a comfortable rocking chair. John collects and displays metal fantasy figurines and customizes them with acrylic paints. Mike invites his buds over to enjoy a few drinks, play foosball, and watch movies. Frank and his friends play Dungeons and Dragons, help themselves to cold drinks from the fridge, and cheer every time someone slays a monster. When you first look at your garage, you may fear that it can’t possibly fulfill the above functions. Put those suspicions to rest by looking at some iconic characters from the media. Al Bundy, protagonist of Married… with Children found refuge in his garage from his stressful life. Tim Taylor of Home Improvement worked on luxury cars, upgraded lawnmowers, and created all sorts of high powered machines in his home’s garage. Even Tony Stark, AKA the Avenger Iron Man, created his best evil fighting inventions in his mansion’s garage. There are just a few steps that the homeowner can take to make their own man cave a possibility, starting with your residential garage doors. When you think of some of the common places to put a man cave, you probably think of an attic, basement, den, or spare room. When you think of these places, the door is probably on the bottom of your list of priorities. As long as it opens and closes, that’s all it needs to do. When you are setting up a man cave in your garage, the residential garage doors are one of the most important things to consider. When your man cave is in the garage, the door is the only thing separating your passions and personal space from the outside world. You have to worry about things both escaping your man cave (such as heat and noise) and entering your man cave (pests, thieves, or other undesirables). Your late night video game sessions or your poker matches with the guys will come to a premature end if you get repeated noise complaints from the neighbours. Furthermore, you won’t be able to properly enjoy a Game of Thrones marathon if you have to wear as many layers as Jon Snow. You have to make sure your garage doors are secured as a fourth wall to properly enjoy and appreciate your man cave. Just because you’re trying to set up a place to work with your tools or your personal projects, doesn’t mean you’re equipped to upgrade and renovate your own garage doors. Working on a garage door all by your lonesome is a good way to end up injured or seriously hurt. You can set up the shelving, the display areas, or the decor – but your responsibilities should end there. Having an experienced technician take care of that task removes the worry from your shoulders, ensures that everything is done correctly, and frees up your time to actually enjoy your man cave. 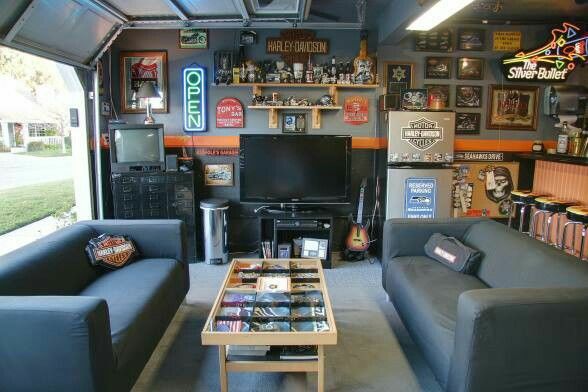 Are you looking at starting the process of creating your very own garage man cave? Before you pick out posters, TV models, and couches, call in a garage door technician. Having someone who is qualified and experienced take care of your residential garage doors gets your man cave off on the right step. For experts with decades of experience under their belts, contact McKee-Horrigan Inc. They can ensure that your garage doors can handle any task, from protecting your man cave to keeping the elements and intruders at bay. Call us today at 1 888 244 4171 for more information about our services and a free quote.